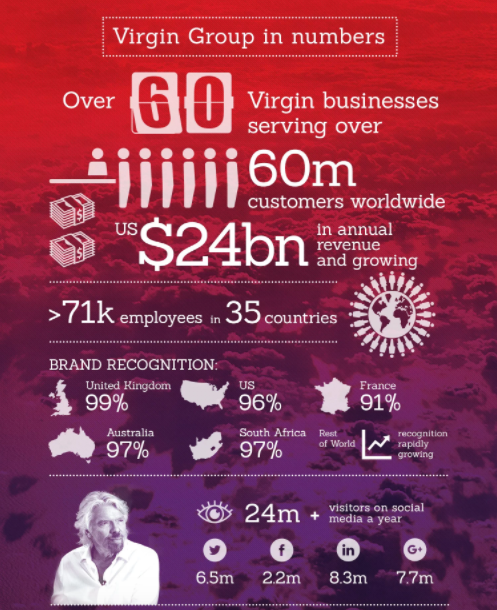 Richard Branson once said, “Your brand is only as good as your reputation,” and there’s no doubt that his business, The Virgin Group, has earned global recognition. The height of brand awareness comes when consumers use the name of your brand instead of the noun: ‘Kleenex’ instead of ‘facial tissue’, or ‘Fedex’ instead of ‘sending a package in the mail’. But most brands are just trying to establish themselves as the leader in their space. Your brand should start, and end with consumer engagement. If you don’t have a presence on the networks where your customers are active, you risk becoming obsolete. Social media doesn’t just boost brand awareness, but it also provides for channel where your customers can ask questions, and interact with your team. If you do have social media accounts but are not getting much engagement, ask yourself whether the content is relevant to your target audience. You don’t need a perfect SEO strategy to get on the top of a Google search. At the very least people should be able to find your business’ website. How will your customers find you if you’re not in the results? With a little bit of research using Google’s Keyword Planner tool, you can identify keywords relevant to your business. Creating engaging content using these keywords will help people find your business when they search for products or services in your industry. Chances are, that when your business started there was another competitor in the market, but for whatever reason, your founders thought they had something unique to offer customers. Unfortunately being unique doesn’t necessarily grant you any attention from the masses. Fortune 500 companies consider their brands to be their most valuable assets, and they are willing to do whatever it takes to protect their brand. Even when times are tough, cutting back on marketing investment will hurt your competitive advantage. Research the right solutions where your brand can get the most attention. Household name brands have a set of values that they stand by, and work to project to the public. Come up with a strategy to present your brand in a way that will grab attention, and deliver returns. Most awareness problems usually fall into this category: Your brand can’t capture its target audience. There’s no doubt that it’s harder than ever before to stand out from the crowd. Everybody is in the digital space, spending millions on their next campaign. We can’t tell you exactly what the problem is – but if your sales are down, and your marketing budget is up, you’re investing in the wrong solution. 1. Evidence: Figure out exactly what isn’t working by measuring historical data with listening/analytics tool. 2. Multiple Strategies: Use your buyer persona research to understand exactly who your customer is, and what research they do to make a purchasing decision. Then test various strategies to find out what works. Invest in solutions that deliver returns. Fixing a brand awareness problem takes time, and investment across a number of strategies. Your business needs to pick solutions that will work for your particular industry. A great way to figure out what you should be doing is to look at your most successful competitors. How are they reaching your target audience? Sign up to the Acorn newsletter to fill your inbox with educational content about the latest on influencer marketing.